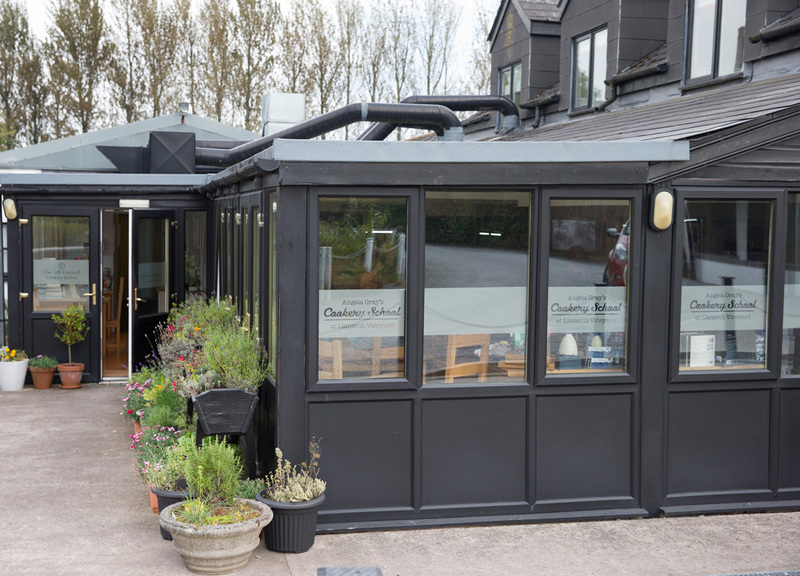 The Cookery School is located on the left as you step down from the lower car park. When you arrive at the school a member of our team will greet and welcome you. We will ask you to sign in and leave your email address so we can send you recipes after the course/event (we post recipes for some events on our website). Refreshments are served before a One Day Course and prior to a Lunch Club, or a Saturday Morning Kitchen. 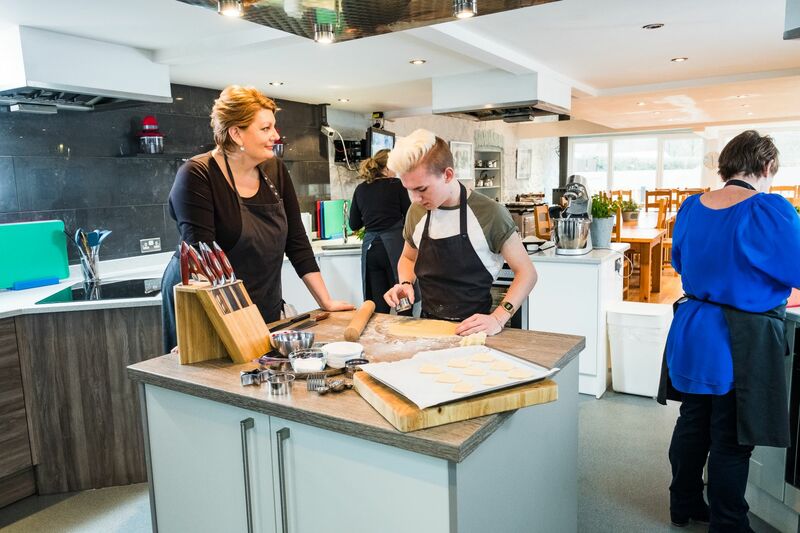 A general introduction is given at the beginning of our hands on cookery courses including an introduction to the Cookery School kitchen. Aprons, equipment and ingredients are all provided. We only ask that your bring enough suitable containers to take all your food home. Please check what you will be cooking. On our One Day Courses we take a lunch break around 1.30pm, this will be either something made during the class or a recipe demonstrated by your tutor. We serve wine and soft drinks to accompany lunch. Alcoholic drinks are available throughout the day on request, payment can be made at the close of the course. At the end of events and courses there is time to purchase from ‘Angela’s Kitchen Essentials’ and to visit the Llanerch Vineyard gift shop.